Minicomics are pretty much my favorite thing in the world. I’m an aspiring, though somewhat lazy, historian on the subject. And there isn’t a lot of history written on the subject. Luckily, there are a couple dozen books about zines (I try to read all the good ones). Minicomics and zines have a shared heritage. I like to think of them as cousins, related but different. That’s why I’m familiar with the zine Sniffin’ Glue, even though I’m not a punk rocker and I wasn’t alive in 1976. And that’s why a mannequin wearing this shirt caught my eye while I walking though one of New York’s busiest shopping district. 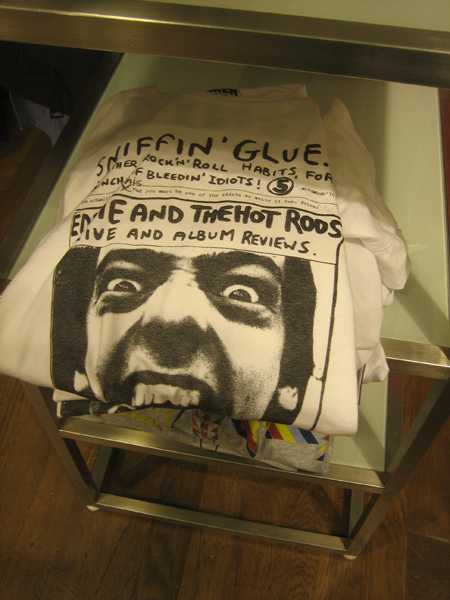 Why was Forever 21 selling a Sniffin’ Glue shirt? Are zines cool again? So cool you’d wear them like a band t-shirt? For those who aren’t familiar with Sniffin’ Glue (and I’m guessing most shoppers at Forever 21 fit this category) it was influential but short-lived punk zine (published from 1976-1977). 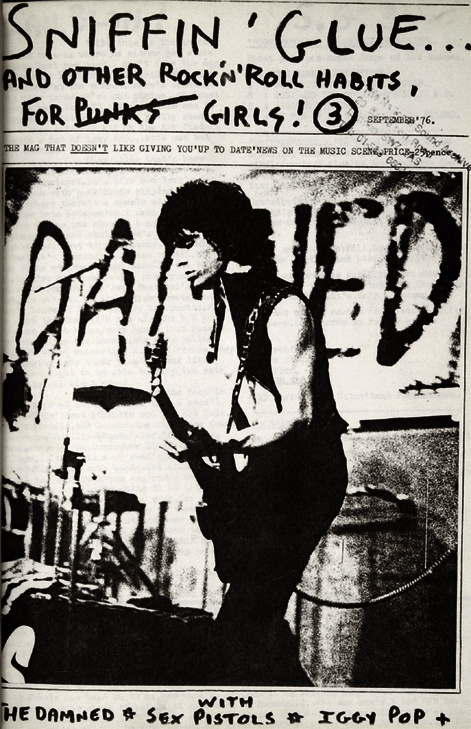 It was launched right on the heels of Punk, another definitive publication of the era. In 1976, punk rock was brand new. 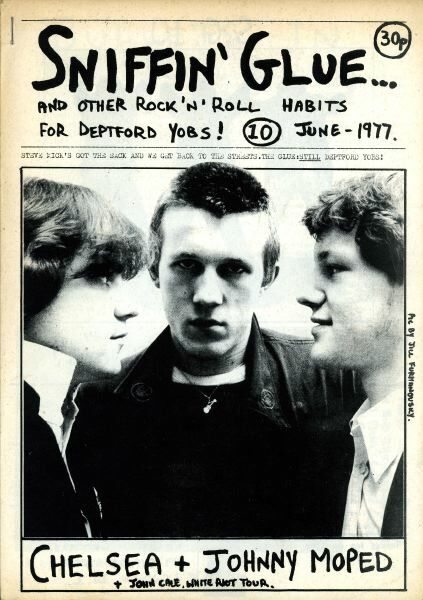 These publications helped define punk and gave it a wider audience. Zines were a very relevant form of communication during these years (you couldn’t find punk rock on TV, and there was no internet).I like to say there’s no such thing as a famous zine, but Sniffin’ Glue might be an exception. It’s publisher, Mark Perry, initially put out print run of 50, but that soon grew to 15,000. 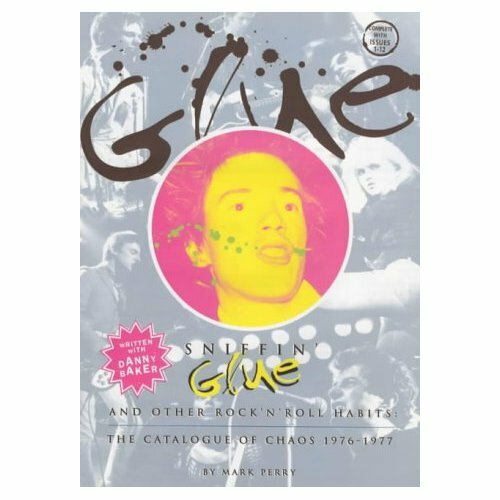 Perhaps the most important thing Sniffin’ Glue did was help instill the DIY attitude in the punk culture. For some, that is punk’s one, true defining characteristic. Mark Perry encouraged his readers to rip up his zines, and also to make their own. Old punk rockers who read zines in the 70s. People who just think it looks cool. I love it when lost zines are reborn as books! I wish the cover had kept the aesthetic of the zine, the way Aaron Cometbus’ books do. Still, I’ll have to check this book out. Previous postWelcome to Paper Rocket!